Roads in the City centre will be closed as competitors negotiate the annual ECU Community Campus Dash. 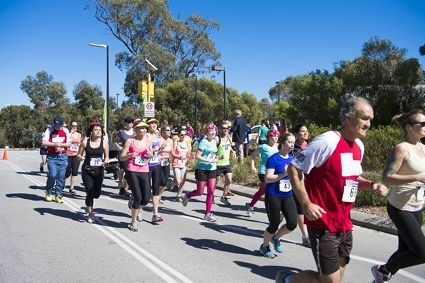 This year’s event is raising money for the ECU Melanoma Research Centre, which is working to develop an early-warning blood test to detect the deadly skin cancer. The National Health and Medical Research Council awarded the university a prestigious grant to further the study last year. Entrants will contest 2km, 5km and 10km tracks along Grand Boulevard. Registrations via the ECU website close at 6pm tomorrow, but will be accepted on the day by credit or debit card only.